As SSC JE has revised their exam date and resheduled it to a new date. It is a great opportunity to all of you that you may take a revision of the whole Syllabus again. This revision will definitely improve your performance in the exam. 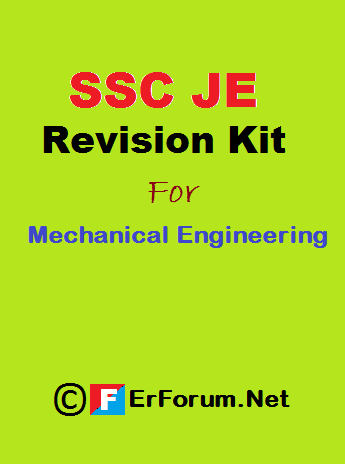 In this post we are going to introduce "SSC JE Revision Kit", which Cover Only Technical Section of the Exam. This Kit Price is Rs 100/- Only but Free for First 20 Registration. In Subject section of email write "SSC JE Revision Kit [Mechanical]"
You will receive this kit within 48 hour of Registration.